8:00am- 6pm. Sign up here for 1 full day at Artist's Camp. Click on Kids tab and download information packet and release form. ********************Monday- T shirt screen printing, canvas painting with projector in Pop Art style, Mixed Media photograph art. Tuesday- Creative elements Nature Weaving, Name letter Jackson Pollack style on Canvas. Wednesday- Mixed Media paradise collage, Artist Bio & invitation making, 3D Art Project. Thursday- Creative picture background, mosaic learning & project. 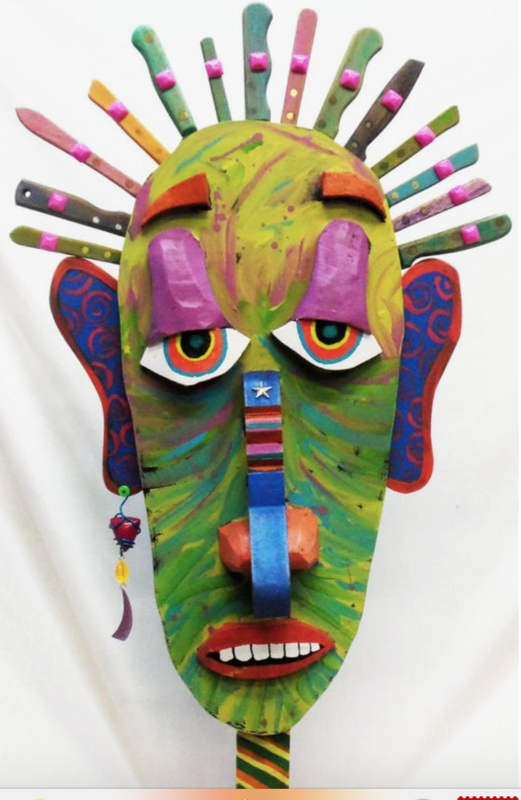 Friday- Sculpture exploration & building, Folk Art study with mask making using our projects in a fun play production- basic set design and acting. ************************** Additional Activities Include: Dream catcher making, Wind chimes, Robot building, Creative Jewelry making, String pulling art, Stamp making, Abstract conditioning, Geometric design, Found object sculpture, Elements of Design exploration, Wax melting art, Color mixing, Mural painting, Dare I say Glitter? *********Bring your own lunch. We provide 1 juice and a afternoon snack.